America’s Cup Race Management just made one brilliant move. 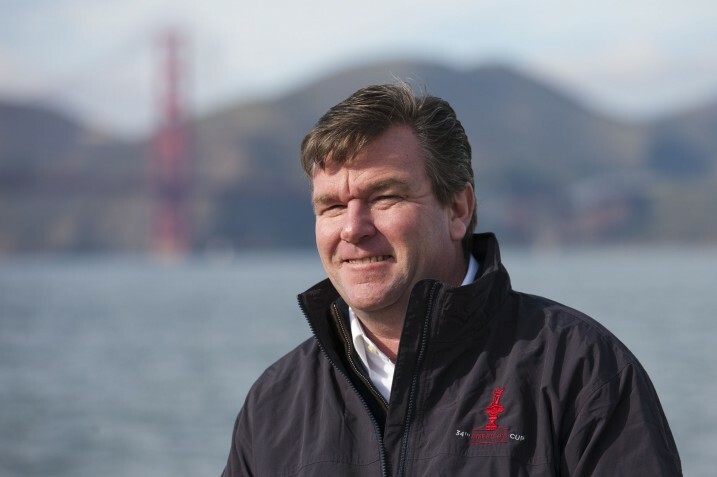 They’ve hired John Craig to join them as Principal Race Officer for the America’s Cup World Series, Louis Vuitton Cup, and the 34th America’s Cup. 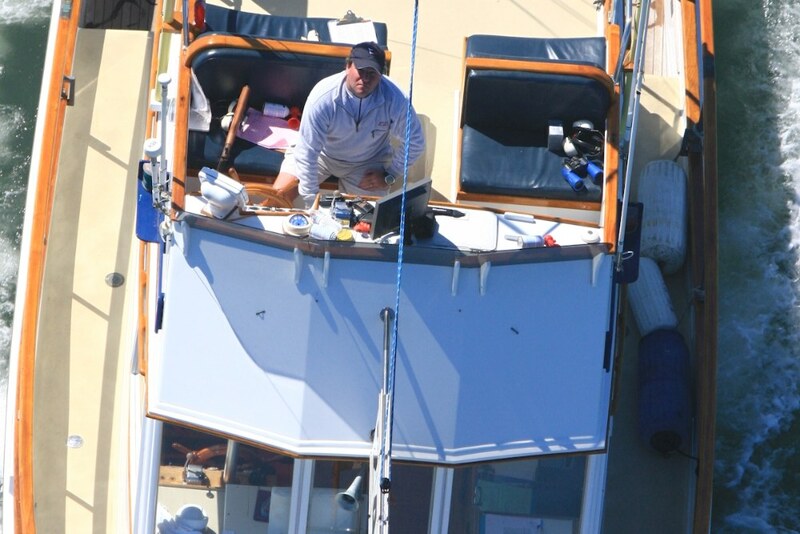 For eleven years, John has been the race manager at St. Francis Yacht Club, responsible for overseeing 120-130 days a year of racing, right where the next Cup match will be sailed. He knows every nuance (and hammer blow) of San Francisco Bay, and even better, he’s long been talking to the Bar Pilots, Vessel Traffic, fishermen, rowing and swimming clubs, Rec & Park, and SFPD Marine. This man knows the wind, the water and all the stakeholders. It would take years for an outsider to match what he brings to the table. ACRM has to get it right the first time. Around the world, a small handful of veteran race managers operate at the highest level, but no other could match this fit with San Francisco Bay. I’ve watched as John has husbanded improved relations between sailors, commerce, and the Coast Guard. He’s helped open new dialogues and smooth away old frictions. San Francisco Bar Pilots today know that ship movements are tracked via AIS on St. Francis committee boats; that race starts can be postponed until shipping is clear; that when a race under way crosses mid-channel traffic, they can count on seeing a RIB ahead to port, and a RIB ahead to starboard, policing their right of way. The navigable portion of San Francisco Bay is really rather small, especially that signature, spectacular body known as the West Bay, just inside the Golden Gate. It gets the biggest breeze, the biggest tides, and the most traffic. In eleven years on the case, John Craig has raised everyone’s game. Meanwhile, the America’s Cup on San Francisco Bay is still being invented. Forget about most of what’s already been put forward. Bet on a tight box on the cityfront for most of the racing—you won’t find yourself inside that box chasing the boats in a RIB—and if we see boats racing as far east as Pier 27, or beyond the Golden Gate Bridge, I figure it will be late in the game, for a final four or a final two. Mind you, this is not inside dope. It’s what I believe is common sense, corralling the longtime event so’s to not interrupt maritime commerce. Yes, Race Management CEO Iain Murray has talked about using Alcatraz as a turning mark . . .
America’s Cup Event Authority and America’s Cup Race Management now have the perfect person to carry on that conversation. There were times in the negotiations over the Host City Agreement when, how do I say this, “one” was called to wonder if a bit more insight into the customs and mores of the indigenous, sometimes warring, tribes of San Franciscana might have smoothed the process. This addresses a different level, but it is a great step forward, right where the rubber hits the road. Standard-setting it was. Enough so to keep the St. Francis Yacht Club (full disclosure, my YC, along with Los Angeles YC and Transpac YC) in the forefront of development at the yacht club level. 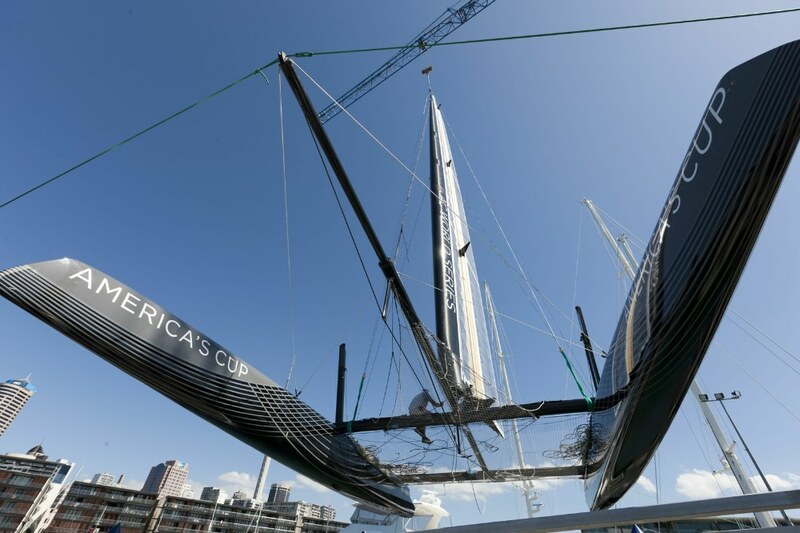 But the plans for AC 34 go exponentially beyond anything we’ve seen before, even in past America’s Cup broadcasting or round-the-world race broadcasting. If you’ve been paying any attention at all you know that the inimitable Stan Honey is working for the Event Authority, developing integrated media to bring television and internet viewers “aboard.” You may know Stan Honey as the navigator of last year’s round-the-world record—48 days, averaging 24.8 knots through the water on the catamaran Groupama 3—or you may know Stan Honey as the new Rolex US Yachtsman of the Year. But Silicon Valley knows Stan Honey as the founder of the sports-graphics company, Sportvision, where painting the yellow first down lines on football broadcasts was only the beginning. These guys own sports. And John Craig just got the only step-up job imaginable for a guy like him. 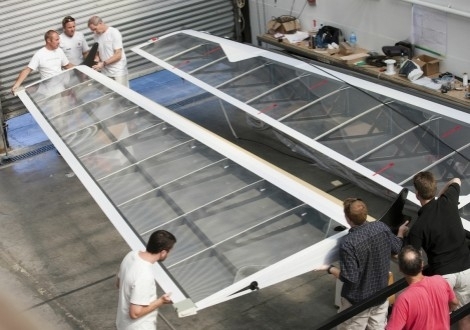 The first AC45 catamaran is nearing launch, and the wing is a work of art . . .